Continuing my new adventures with the micro-stock agency BigStockPhoto, I've just had my second set of submissions back, and I've been pleasantly surprised. It still remains to be seen whether I'm taking the right sort of photographs that will actually sell, but its great to know I can start building a stock portfolio. Lets look at what got in, and what didn't. Ha Ha! 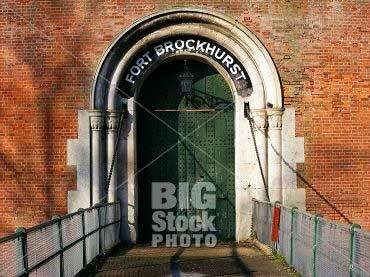 I know what you're thinking - who on earth would want to buy photographs of Fort Brockhurst, my local Victorian land-mark? Well, my answer would be this - Who knows who might want to buy them, but someone might, then I'll get some cash. What I find really exciting about this type of photograph is that we've all got places like this near where we live. I mean local land-marks, places of interest, etc that are unique to your locale, that few others, unless they jet half-way across the world, can shoot. 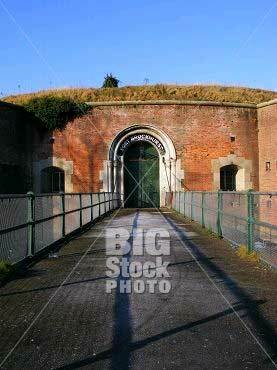 I might never sell any pictures of my beloved Fort, but hey, what if a University in the States decides to run a course on Land Defences In The 19th Century - I could be quids in! 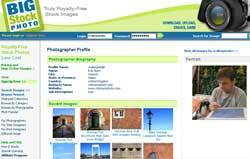 The point is that you don't just have to shoot generic, general subjects, go out and shoot your local landmarks too! 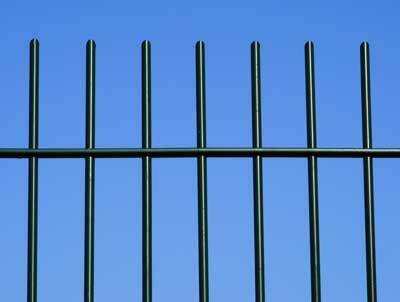 Black Metal Fence Against Blue Sky. Reason: We have enough of this subject already...sorry. More unique images will help your images stand out from the crowd. 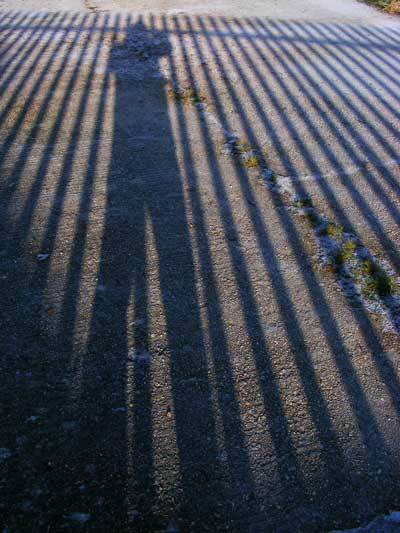 Shadow Man. Reason: Low interest subject: Probably little demand/selling potential for this image. Try for more marketable shots. thanks. 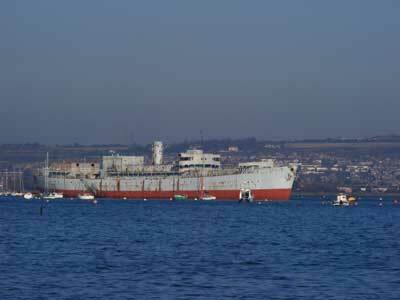 Old Rusty Merchant Ship At Anchor. Reason: Artifact Problems: Noise/Grain/Chromatic or other artifacts due to low light, blue or purple fringing, high ISO, over-sharpening or post processing techniques. Please view image at 100% prior to submission. Some interesting things to learn from the rejections - try not to shoot boring generic stuff that tens of thousands of photographers would have taken before, I didn't think the shadow shot would get in, but what the hey, and it's probably not best for me to try and submit photographs taken near the focal limits on my S5700. Hope this has been an interesting post for anyone thinking about joining BigStockPhoto, and if you do, tell me how you get on. More great stuff! Congratulations on your acceptances, keep going and adding numbers at this rate and you'll be making some money in no time. I really like the way you provide us with the feedback you recieve on your images that aren't accepted. We can learn so much more from our apparent failures than we can our successes. I especially liked your mention on photographing features that we often take for granted that surround us. Living in some world renowned city and taking shots of famous landmarks are one thing, but local interest is something else. Your average city is likely to have everybody shooting the same thing - lots of competition, let alone visitors images! Whereas shooting the history, architecture, places and subjects around us are often overlooked. You've got it, I was trying to express the feeling of "its all been shot before", and arguing that the statement simply isn't true. Every photographer is unique - where you live, where you shoot, when you go out, what your style is, and that a good start is looking for local stuff that probably only local people really know about (no League of Gentlemen jokes please) and photograph. I understand that if you live in London or New York you've got lots of competition, but for everyone else there's a whole world of photography potential out there just waiting for you to shoot it. The other thing I wanted to say is that going out, on a nice day, to shoot some stock is a great motivator. I'm not saying make it your sole reason for going out on a photowalk, but if in the back of your mind you're thinking about the possibility of some submissions, you'll look harder and shoot sharper. Thanks for your comments, make sure you keep us informed on how you get on! Stock photo update: I submitted 3 photos to iStockphoto with all 3 being rejected on the grounds of composition and subject matter not meeting their minimum level of standard. Though I'm disappointed I am pleased with the feedback. I do need this kind of input to improve. Remember not to take it as a criticism of your photography in general, it's just that those shots weren't suitable for micro-stock, a very niche part of the art. Keep going though, and try BigStockPhoto too, they seem to be a little easier to get into.